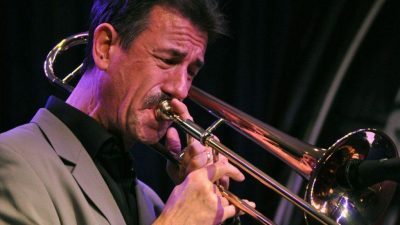 John Fedchock, a New York based trombone virtuoso, composer and leader of the New York Big Band, with two Grammy nominations, and who has toured with T.S. Monk, the Gerry Mulligan, Louie Bellson, the Manhattan Jazz Orchestra, the Carnegie Hall Jazz Band, and Woody Herman, will perform with the College of Lake County’s Monday Night Jazz Ensemble for the school’s 42nd annual guest artist concert. In addition, he’ll give a free jazz clinic at noon the same day of the concert.